Apps, and technology overall, are another tool for learning. Children get the most out of playing with apps if they are well chosen by you and if you play together. Does the app support at least one of the key communication, language and literacy developmental milestones? Use the Milestones wizard to select the relevant age and learning area to see the milestones that apply. Please note that these milestones are for guidance only, all children develop at their own pace and may not meet all of these immediately. Does the app have at least two of the following features? Lots of fun The app is fun and makes children feel included and empowered, through the response of the screen, e.g. touches/tapping/swiping etc. 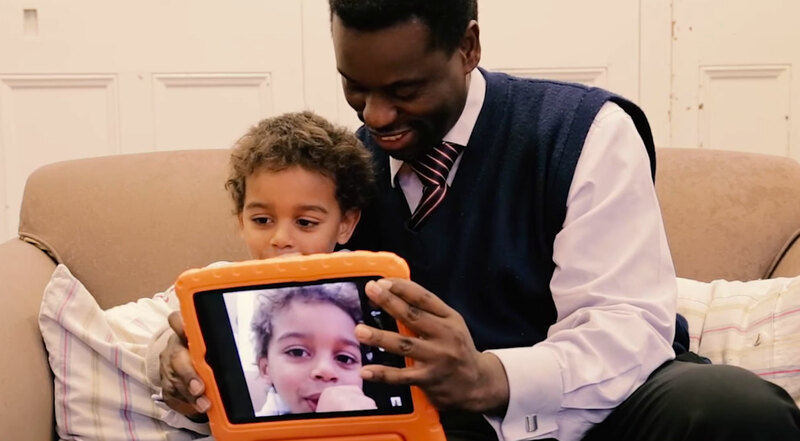 Play together The app allows the child to play with others either in person or virtually. Interactive The app has goals, rules and gives clear feedback or encouragement when the child engages with it. These goals and rules can be adjusted to suit the child. Creative The app lets children use their imagination, make new stories or change what is happening. Make it your own The app can be changed to relate to the child i.e. adding voices, pictures or by creating their own characters. The engagement features are adapted from those identified through a Knowledge Transfer Partnership between BookTrust and the Open University (please see Kucirkova, Littleton and Cremin, 2016 for further information). It is also useful to consider the following principles and questions when choosing apps for children with Special Educational Needs and Disabilities (More & Travers, 2013).